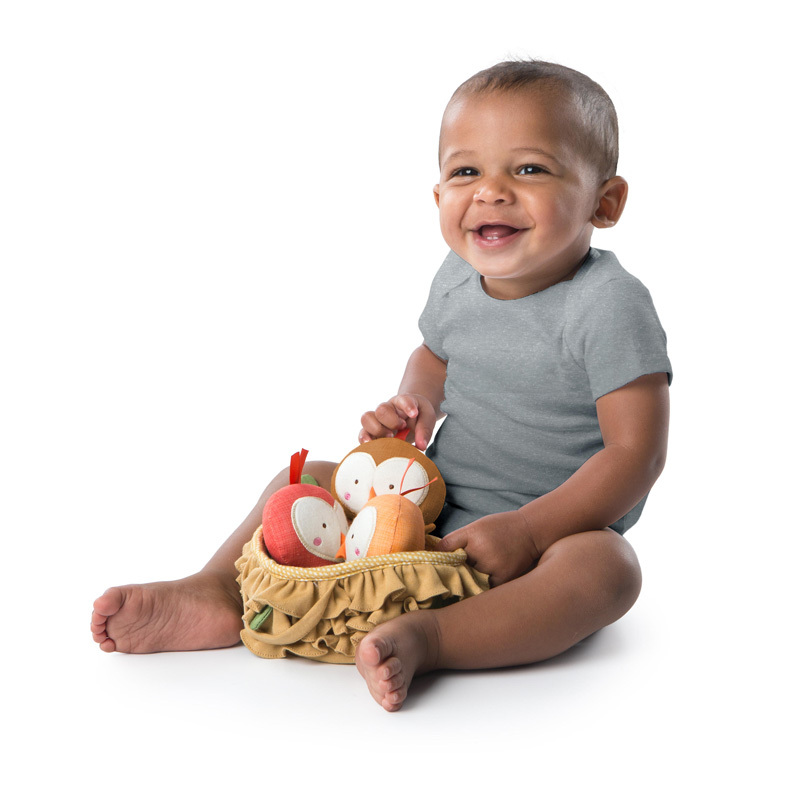 From Bright Starts’ newest collection, Simply Bright Starts™, the Baby Bird Put & Take™ toy is an irresistibly cute toy that’s a must-have for baby’s toy box. Three simply sweet plush birds nest in their cozy, soft nest. Introduce baby to put-and-take play by placing the little birdies back home in their nest and delight little ears with sweet chime and jingle sounds in each bird. Take the birdies on the go with the easy to carry handles that adorn each side of the nest. 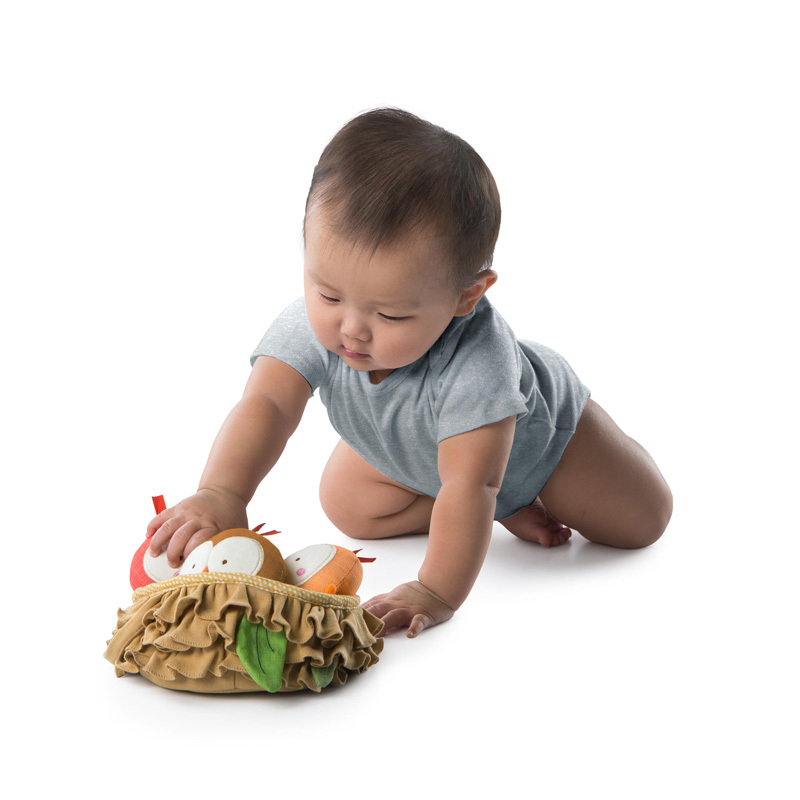 The perfect gift for baby boy or girl. Recommended for ages 3 months and up.